The NYU Social Science Research Institutes are located within the Department of Applied Psychology under the auspices of the Steinhardt School of Culture, Education and Human Development and is designed as an incubator space for grantees receiving funding to further their research. The project is located in the heart of the NYU campus at 20 Cooper Square in Manhattan. 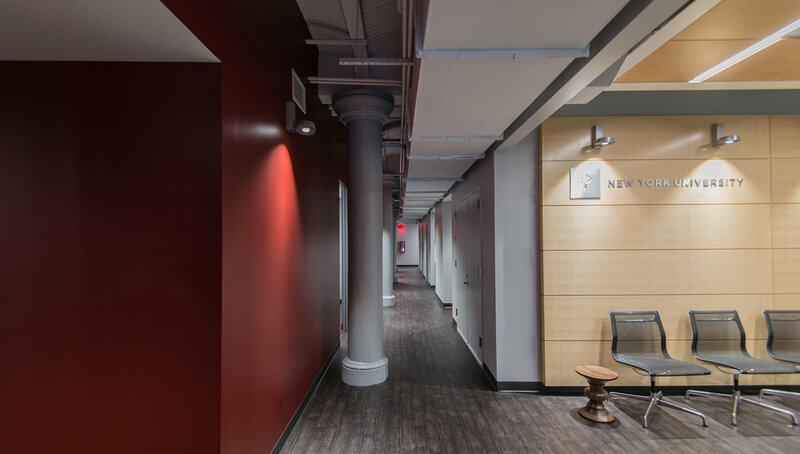 In order to provide support for these research projects, NYU has decided to proactively identify and develop space for their researchers rather than wait for funding to be received, as is typically the case. The planning concept for the space provides an open office area that includes a combination of benching and cubicle workstations for maximum flexibility of staffing needs. Directly adjacent to the open plan workstations is a casual/lounge teaming area that provides a variety of seating (lounge, café height and coffee table) giving staff the opportunity for impromptu meetings without having to schedule a formal meeting room. 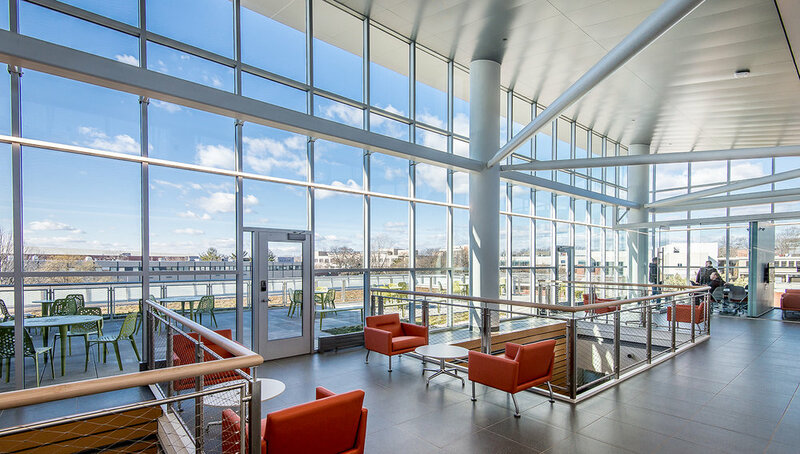 These workstations are bounded on two sides by full-height glass-enclosed three-person offices and team rooms. The three-person offices house the principal investigator and two associates, with the remainder of the team consisting of three to five research assistants in the open workstation area directly adjacent to the offices. All team rooms have multiple technologies that allow for video/teleconferencing for both in-house and off-site meetings. The BIM technologies built into the project are state of the art and include a new concept for NYU that is being tested for this project. 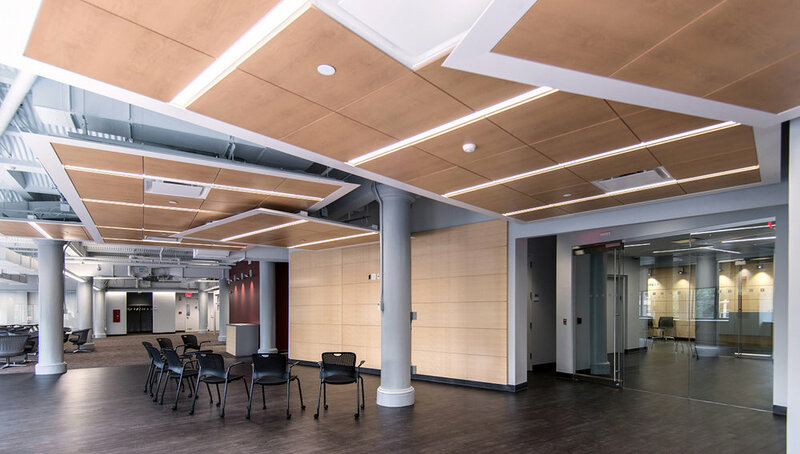 All LED lighting and HVAC systems are tethered to smart software which allows NYU Facilities to monitor and control the energy consumption of the floor. Provided the system is successful, it is the intent of the NYU to implement the program in all 185 NYU buildings throughout New York City over the next several years. This is an ongoing effort on the part of NYU to be an energy conserving citizen of the world and should result in significantly lower energy costs in the years to come.